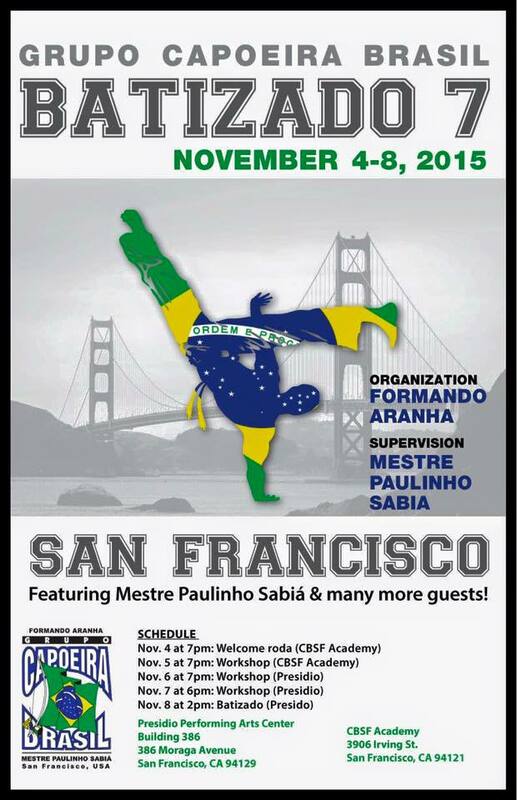 Grupo Capoeira Brasil San Francisco’s 7th Batizado will take place Nov 4th – 8th 2015, supervised by Mestre Paulinho Sabiá. For more details and to keep up with the latest updates join the event page on Facebook. Visit us at 3906 Irving St., between 40th and 41st Ave. Copyright Capoeira Brasil San Francisco - Formando Aranha. All Rights Reserved.